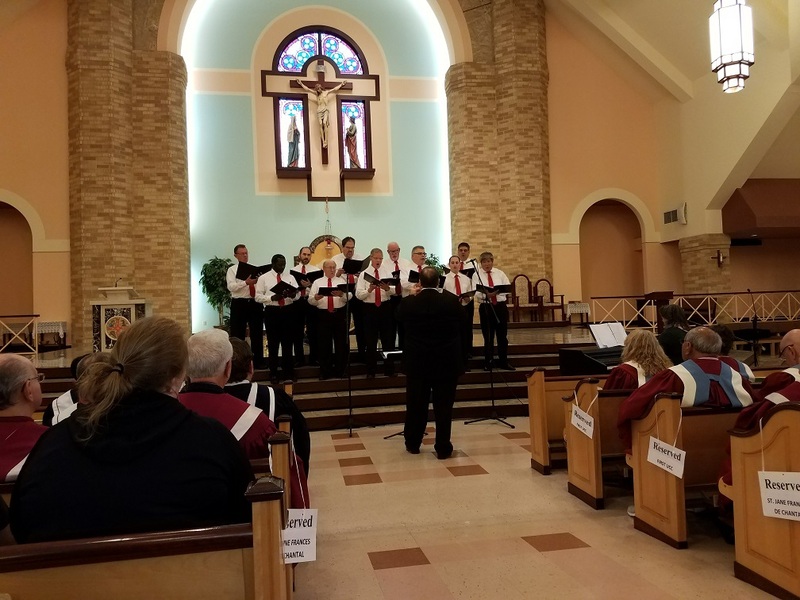 On Sunday, November 19, 2017, the Victory Voices men’s choir of the Bethel Memorial Baptist Church sung for the first time in the Easton area Interfaith Choral Festival held at St. Jane’s Catholic Church in Easton. This was the 17th year of the festival and we were excited to have been invited to bring our group to perform. Being afforded an opportunity to perform away from your home base is always worthwhile. Singing for new audiences and getting used to something outside of your normal comfort zone is a fabulous learning tool that can only help grow your ensemble. 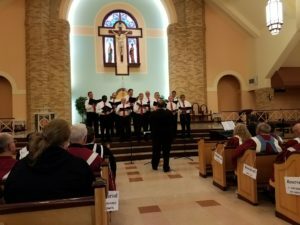 Plus, it was a great opportunity to show off our group as being one of, if not the only men’s choir in the Lehigh Valley. In case you are not familiar with the festival, it was started to give local church choirs an opportunity to come together to share their talents with each other all while glorifying the word of the Lord. It is usually held the Sunday before Thanksgiving. A free will offering is taken which benefits ProJeCt of Easton. P of E is an interfaith initiative in downtown Easton that offers emergency assistance, a food program, community supportive services, and educational programs to over 5,000 disadvantaged children and adults each year. Information on ProJeCt can be found at http://www.projecteaston.org. It is a great organization and I am happy to say that this year’s donation from the festival was over $1000.00. 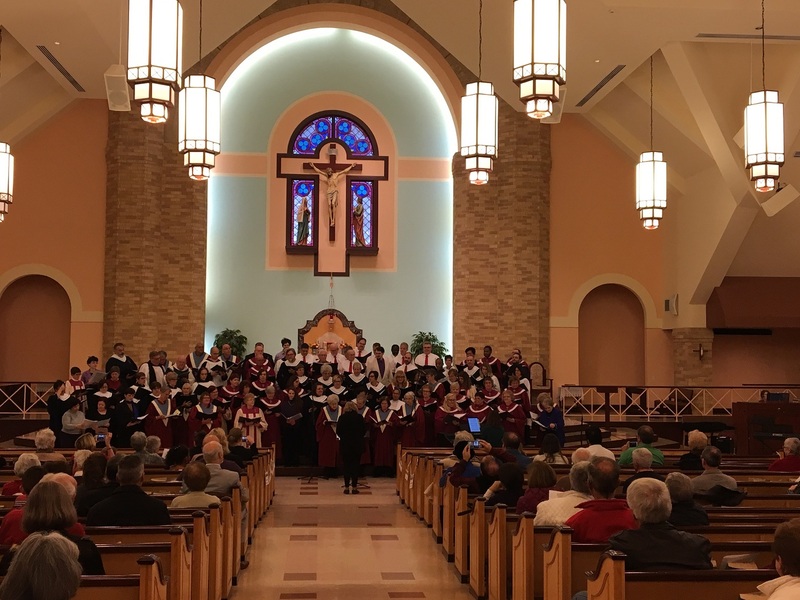 Since it is called an interfaith festival, the choirs come from protestant and Catholic Churches, a Jewish Temple and this year there was a Muslim group that performed. In addition to The Victory Voices, the festival was represented by the following church choirs: St. Anthony of Padua Roman Catholic Church, First United Church of Christ, Trinity Episcopal Church, Temple Covenant of Peace, Lehigh Dialogue Center, St. John’s UCC of Farmersville, and the host church, St. Jane Frances de Chantal Roman Catholic Church of Easton. We came together at the end to perform two selections together. They were “I Choose Love” by Mark Miller and “American The Beautiful”. Having over 100 voices really made the conclusion of the festival sound tremendous. I Choose Love was written in response to the Charleston, NC church shooting in 2015. A solemn but very emotional piece. Since this was only our third time performing in public, you would think that we would have a few butterflies. But, this ensemble is a fun group to work with that is down to earth, relaxed and likes to have fun. We got on stage and knew we were there to sing praise to the Lord and entertain the crowd. There was no fear or worry, just excitement to be there! As they stood there in their white shirts and red ties, I couldn’t have been more proud with how well they did. They were strong, energetic and filled the room with sound. It was very clear that what came out of the mouths of our musicians was widely enjoyed by the audience. I was very pleased with this experience and even more happy of how well we did. I can humbly say that we were a huge success by the way many of our members were treated after the concert. I could hardly get to the refreshment table without someone stopping to say just how much they enjoyed the group. I am very Blessed to be the director of the ensemble and thankful that we were able to make a joyful noise to the Lord through our song. If you want to hear the Victory Voices again, we are singing for the Christmas Eve service at the Bethel Memorial Baptist Church on December 24th at 6:00pm. You can find the church at http://bethelmemorialbaptist.org. 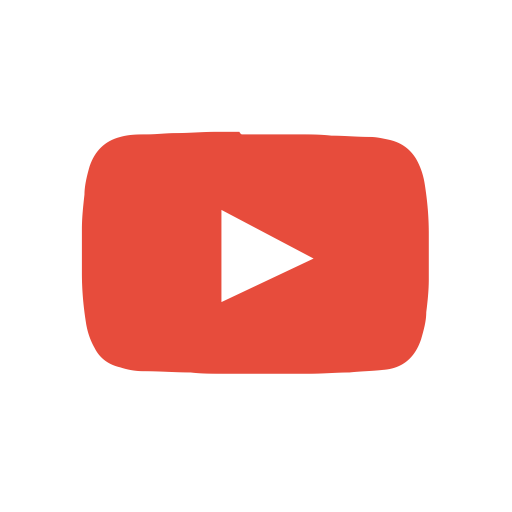 Check out some of the video and pictures from the event and our other public performance.